We’re in the last days of 2015 and I just wanted to take a moment to say a sincere Thank You to everyone who has read and supported this blog over the last year. I enjoy writing for this blog, but there would be little point in continuing if there were no readers. So, thank you all for bearing with me and supporting my work. Going by the numbers, the following have been the ten most read pieces from the last 12 months. 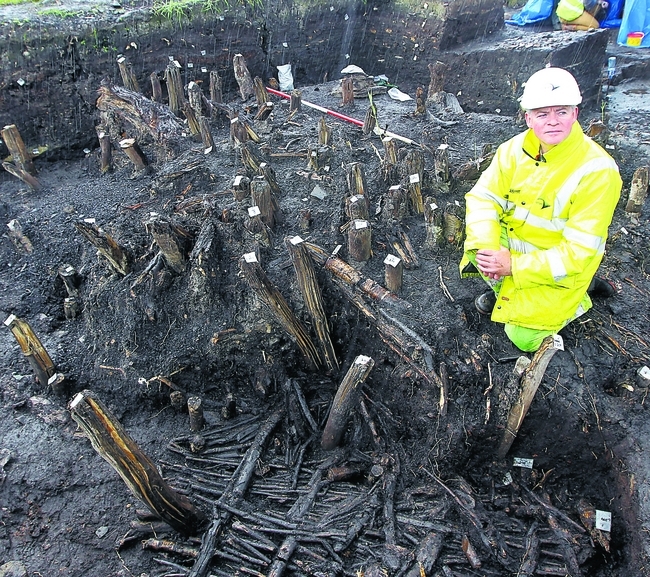 Inevitably, the crannog at Drumclay figures prominently, with two entries on the list. I'm afraid that this will be the case for 2016 too as there is much work to be done to secure answers and positive change from Government departments that seem more keen on pretending that all is well (who would have guessed it?). Thankfully, the rest of the list covers a broad selection of topics from aspects of data analysis (Ashley Madison & company accounts) to lightweight photo-essays (The Floral Hall & Poulnabrone), along with my IR&DD research project, a review of the British Museum's flawed Celts exhibition, and The Saw Doctors. I hope you’ll give them a read if you’ve missed anything in particular. In the meantime, I’m looking forward to continuing to write, entertain, frustrate and annoy throughout 2016 … I hope you’ll join me! 9) Stonehenge Virtual Reality tour! It’s Super Awesome! 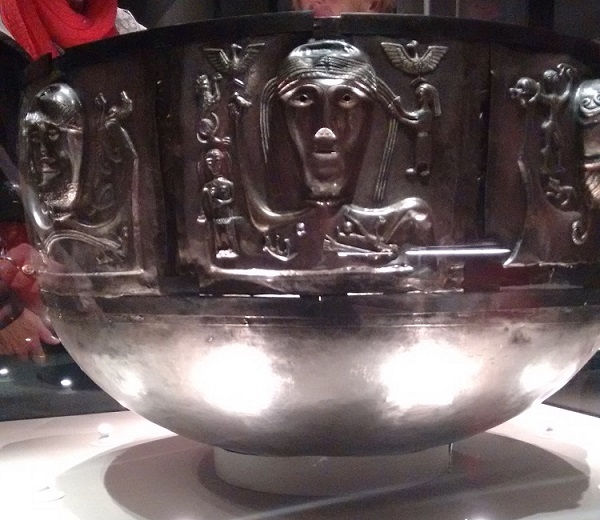 Welcome to this, my 10th, ramble through what I find interesting in Irish archaeology and beyond. 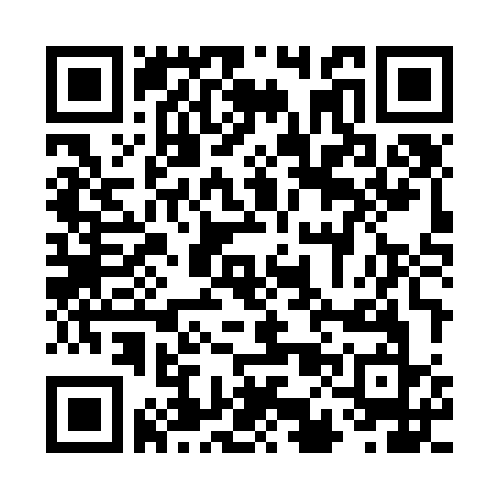 If you sign up for a free Academia.edu account you can always come and follow my work too! 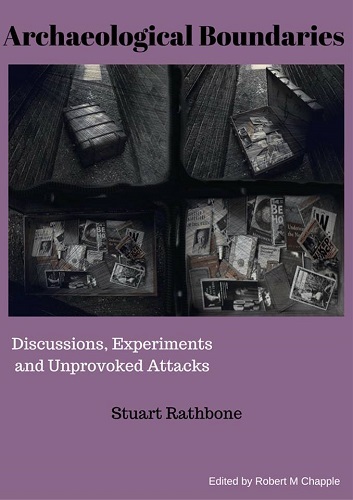 But before you do any of that, please take a moment to look at Stuart Rathbone's new book: Archaeological Boundaries. Discussions, Experiments and Unprovoked Attacks. Áine Foley: Violent crime in medieval Dublin: a symptom of degeneracy? As many readers of this blog will be aware (probably painfully), I spend much of my free time on a research project that’s all about collecting radiocarbon determinations and dendrochronological dates. The last publicly released version of the catalogue was in September 2013 (though the most current version has always been freely available to researchers who contact me directly). Back then the catalogue boasted 7015 radiocarbon dates and 260 dendrochronological ones. As of December 2015, the catalogue now holds 8288 radiocarbon and 313 dendro dates. As headline figures go, that’s not bad – respective increases of 18.1% and 20.4%. But this is far from the whole story. In the period since September 2013 I’ve endeavoured to add a number of additional features to the resource to make it more useful to researchers. At some stage in the near future I intend to write a post as a comprehensive introduction to the underlying dataset and how it can be used. In the meantime, I wanted to focus on one new aspect that (I hope) will provide a ‘more than the sum of its parts’ addition to the dataset. Early on, I recognised that I would need substantial help from other people both inside and beyond the profession to have any chance of success. Instinctively, the idea of conducting research ‘live’ in the social media space seemed like the perfect way to provide rapid output of results, receive speedy feedback, and act as a means of demonstrating what the project is about in a real and tangible way. I can only say that, from both a personal and professional standpoint, it has been a true highlight in my archaeology career. I have been immeasurably helped by so many people who have provided access to lists of townland names and centroid data, provided batch conversion of the Irish Grid Reference coordinates to digital latitude and longitude, provided data, answered my questions, looked up reference books on my behalf, patiently emailed to say that the site I had there should be somewhere else … I do not have sufficient words to express how much all these acts of kindness and assistance have helped this project to completion. 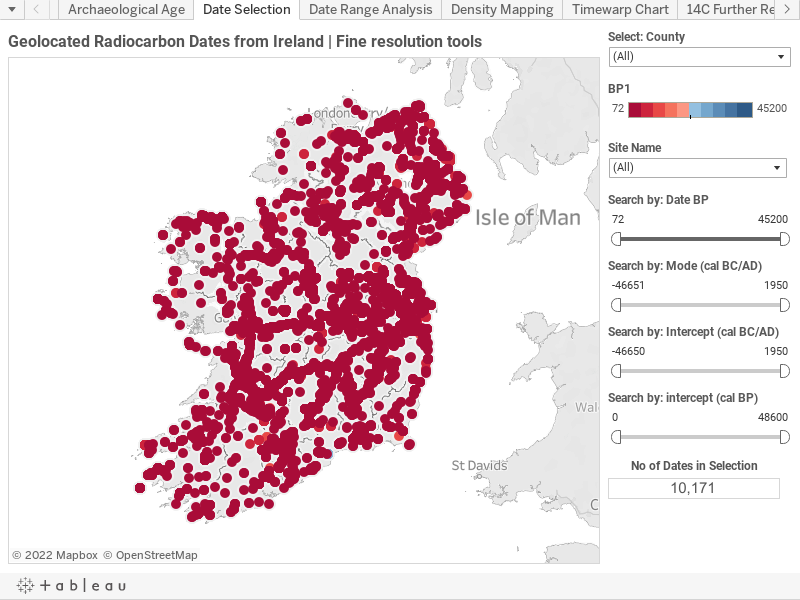 By May 2015 I had geolocations for all Irish radiocarbon dates in the catalogue. Since then I’ve been working on getting through the substantial backlog of books and papers I’ve accumulated and adding those into the catalogue too. It has all taken some time, but now there are geolocations for all 8288 radiocarbon dates in the collection. Not to be too technical about it, but I do need to issue a quick word of caution about these locations: they’re the best I can get, but they’re not perfect! In a vanishingly small number of cases I’ve been able to put a virtual pin on the exact site – at Poulnabrone, or Knowth for example. Where I’ve been able to positively identify the excavation, I’ve taken the data from Wordwell’s excavations.ie site. As the wonderful Nick Maxwell will be quick to point out, it’s a resource still in development and one not without issues of accuracy where it comes to this location data. One of the unexpected joys of this project has been the lengthy correspondence that we’ve struck up where I’ve been able to pass back a number of corrections and refinements to his data (and he to mine!). Admittedly, there have been times where I’ve wondered how welcome this staccato barrage of emails must have appeared to him, but he appears to still be talking to me, so that’s a good thing! What all this comes down to is that the user can have general expectation that the locational data is good to the centre of the townland, there is still (like any resource) the possibility for error. The advantage a digital Catalogue like this has over a conventional printed one is that it is relatively quickly and easily changed once an error has been identified! First off, the visualisation is hosted on the Tableau Public servers and can be viewed directly there, or through the embedded version at the end of this post. The next recommendation is to hit F11, turning on full-screen mode … unless you’ve already got a fairly massive computer screen it’ll reduce the amount of vertical scrolling you’ll have to do (and hitting F11 again will bring you back to dry land!). The speed at which the visualisation loads up is partially reflective of the size of the data source (in the grand scheme of things, not huge), your connection speed to the server and the workload that the server is under. Basically, consider that peak day time and evening hours in the US will dramatically affect load and refresh times. Also: it’s beyond my control! Deal with it! All going well, you should see a lovely map of the island of Ireland, all covered in dots, like and ailing patient. This is the Date Selection tab. The interactive controls on the right hand side allow the user to set the geographic and temporal scope of their research … or, in English … you get to choose the places and the set of dates that’s most relevant to you! Want to see all of Ulster and parts of Munster? It’s yours with a few judicious clicks of the mouse! Want to see Cork, but not Kerry? The choice is yours! The top-most control is county-level, and the default is for the entire island, but you can add and subtract counties to your heart’s content! The counties used are the 32 ‘traditional’ Irish counties, ignoring the new administrative districts of Dún Laoghaire-Rathdown, Fingal, and South Dublin. Directly below the county-choice control is the colour legend. It is set to a red-blue diverging pattern, where the youngest dates in the plot are moved towards the red end of the scale and the oldest dates are towards the blue end. This colour scale refers to ‘raw’ radiocarbon determination given in years Before Present (BP). At the time of writing, the determinations range from 72BP (red) to 12,480BP (blue). Dates in the centre, between the extremes, will appear as an off-white reddish-blue. The important thing to remember here is that as the interactive controls are changed, the data displayed on the map changes, and so too does the value of the scale. For example, if you select only the radiocarbon dates from Armagh, the colour scale stays the same, but the values it depicts change to 245BP (red) 6925BP (blue). The next four controls are all of ‘callipers’ type (i.e. you can move them from both ends) and all provide similar but distinct control over the which dates are displayed. The primary driver that I have used for data selection and display is the ‘raw’ date – the uncalibrated radiocarbon determination. To my mind it is the best way to discuss archaeological dating as it removes all considerations of calibration, comparing two differently calibrated dates, and it is the most ‘reusable’ format that the date comes in. By this I mean that you can take the date and recalibrate it with a newer version of a different program, using the latest version of the calibration curve and it will still have meaning and can be used. In this ‘raw’ form it is most useful to other researchers who wish to incorporate the data into new models and research. If you’re a professional archaeologist you should be pretty used to this and this is probably the best choice for you. Admittedly, it’s not to everyone’s taste (even among the professionals) and for this reason I’ve incorporated a number of other measures that represent the radiocarbon date in different ways. After much discussion with the esteemed Dr Rowan McLaughlin, he has convinced me to include a calibrated date mode average. He has very kindly calculated this for me using the IntCal14 curve and notes that any dates on marine samples will have ‘wrong’ answers. A 100 year SD was used for those samples without this information. Dates with multiple modal years were averaged (mean). Dates are presented as negative numbers for years BC and positive ones for years AD. The current range is from -12770 to 1950. As with all of the date selection controls, caution is urged in their application. Intercept dates have a bit of a bad reputation in archaeological circles as they fail to account for the majority of the variability in a radiocarbon determination. This is pretty much spelled out in the title of the most frequently cite paper on the topic: The intercept is a poor estimate of a calibrated radiocarbon age. While I agree wholeheartedly with the arguments put forward by the authors, I still find that it can be difficult to compare calibrated age ranges in my head, or even written down on paper … my mind always tends to fix on one of the end dates, rather than looking towards the statistical core of the date. I don’t advocate for using intercept dates in formal publications, but as a personal ‘ready reckoner’ I’m all for them. I’ve set up the underlying Excel spreadsheet to calculate them automatically (using the IntCal13 curve for terrestrial samples and Marine13 for marine ones) whenever a new date is added to the catalogue. I’ll be honest and say that I’m probably far too pleased with myself at working out how to batter MSExcel into becoming my own personal calibration program (ChappleCal anyone? ), but it does have the advantage that I can quickly and easily upgrade to the next version of the calibration curve and have all +8k determinations change automatically. Again, dates are presented as negative numbers for years BC and positive ones for years AD. The current range is from -12760 to 1950. This is the same mechanism as above, but the dates are presented in years cal BP. The current range is from 0 to 14710. I had hoped to make all of the callipers move in concert, so that a change in one resulted in a change in the others. Unfortunately, this technical challenge appears to be beyond my current skillset. However, changes in any one of these are reflected in the colour scale. As the ‘raw’ date (BP) is the chief dimension that the visualisation of each individual date is based on, the ‘Search by: Date BP’ callipers have a horizontal blue line that the others are missing. While the ends of the Date BP callipers do not move when adjustments are made to the other callipers, the length of the blue line contracts and expands to indicate how much of the range of dates is currently covered. The point I’d make here is that messing about to see the map change and move is all very well, but if you’re attempting to use the visualisation of any serious research work, please use these sets of callipers with all due caution! In the top left section of the map space you’ll see a vertical arrangement of five icons (these disappear when not in use, so you may have to run a mouse pointer/finger over them to get them to appear). The top one, set alone, is a ‘search’ magnifying glass. Clicking on it brings up a search bar where you can type in your search query. This search is only related to the OpenStreetMap data and not the radiocarbon dates. Thus, you can search for Mayo and see the county with all of the recorded radiocarbon dates in the Catalogue. You can, should the mood take you, type in Ulan Bator and be presented with a map of the capital of Mongolia … obviously, there will be no radiocarbon dates shown. However, it will not be able to search for the names of individual sites, even where they do have associated geolocated, radiocarbon dates. For example, you can type in ‘Tildarg’ (775±50 BP), hit return, and the visualisation will sit there looking back at you like a quizzical puppy … but it won’t take you to the location you wish! Be warned! To my mind, one of the loveliest features of the Tableau map environment is the little circular sighting symbol to the right of the search bar. Clicking on it will (if you choose to allow your location to be used) centre the map on where you are, allowing an in-depth exploration of your local area, should you wish to pursue it. It should be noted that this change in the view does not change the overall selection of sites, and the colour scale and date callipers will not necessarily match the view. Below this is a vertical band of four icons. Unsurprisingly, the large plus (+) and minus (-) signs zoom in and out on the map. Click on the + often enough and you’ll find yourself not far from Athlone and the date from Ardagawana 1 (2427±23 BP). Go the other way and the continents of the planet fade into the distance, leaving only a single red dot to mark the place of Ireland. Again, no matter how you manipulate these views, the callipers and colour scale will remain unchanged. Whichever way you go and however you mangle the map view, just clicking the house-shaped ‘home’ button returns you to the opening, island-wide view of the visualisation. The final button is a right-facing ‘play’ arrow that pops out to reveal four selection tools. The Zoom Area button (solid rectangle with magnifying glass) will zoom in on any user-defined area of the map for closer inspection. Again the colour scale and callipers do not respond to these changes. 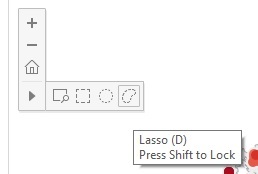 The following three selection tools (Rectangle, Radial, & Lasso) work in the same manner, other than the differing shapes used to capture map positions. Using any of these to select map points will highlight the site locations, but will not alter the map. This will bring up a floating tooltip window listing the number of dates in the selection and giving the user the opportunity to either ‘Keep Only’, ‘Exclude’, or ‘View Data’. If you chose the first of these, the map will zoom and centre on the selected dates. The Select: County, colour scale, and horizontal blue bar in the Search by: Date BP will all change to reflect these choices. Hovering over any map point will pop up a small ‘tooltip’ window. This will show the basic details of the full radiocarbon determination, the Laboratory Identifier, and the site name. No matter what changes the user makes to the visualisation they can all be easily and quickly fixed and the presentation brought back to its starting position by using the Undo/Redo/Reset controls. These are located along the bottom, left-hand edge of the view, just outside the map space. Having made your geographical and time-period selections on the Date Selection tab, you may want to move on to some, more specialised, reading. 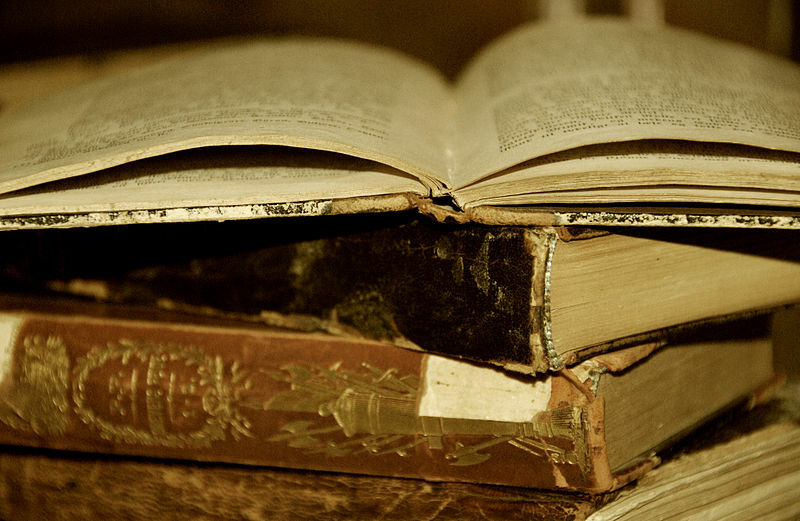 In this case, it’s time to explore the Further Reading tab, located along the top edge of the presentation. This will bring you to what is essentially a data table, but one that is tailored to your research needs, based on your earlier choices. 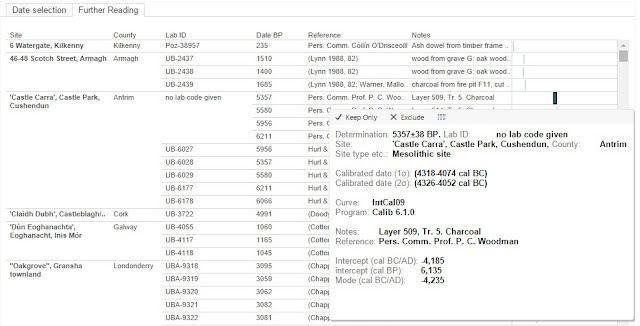 The data is laid out as follows: Site, County, Lab ID, Date BP (without the ±SD), Reference, Notes. This is followed by a thin vertical line showing the relative position of each date in relation to those about it. Frequently, the Notes and Reference (and sometimes the Site name too) are longer than the space allows, so hovering over any of these will bring out a pop up with the full text. While Tableau allows you to sort the information here, you can only effectively sort by Site name (a-z, or z-a). Thus, all the other useful criteria, such as sort by County and, most especially, Date BP, are ineffective. It’s not something I currently have a fix for, but it’s certainly something I’d like to see remedied in a future release. The references are all short form (Surname, Year, page number) and you’ll have to download the full Excel spreadsheet catalogue (here) and look in the References tab to see what each one is. Unfortunately, this means of reducing down the reading list only appears to work if you interact with the map using the ‘Select: County’ and ‘Select by:’ date callipers. The other forms of data selection noted above appear to have no influence on how this second tab displays … which is a shame! On the Data Selection tab, I had wanted to keep it as clean and simple as possible. Thus, even the tooltip functionality was kept to a minimum. Here, on the other hand, I wanted to give all the data possible. Now, hovering over the vertical blue determination line on the right of the data table will bring up a window giving the full Determination, Lab ID, Site name, County. This is followed by the Calibrated date at 1σ and 2σ intervals. Both the version of the calibration curve and the version of the calibration program used to provide the calibrated result are given. It’s probably overkill, but I’ve included both the Notes and Reference data from the main data table, but it’s there just in case it’s needed/wanted. Finally, and just for completeness, I’ve included the ChappleCal Intercept dates (cal BC/AD) and (cal BP), along with Dr Rowan McLaughlin’s calculation of the determination’s Mode. If you’ve gotten this far, I applaud you! I’ve tried to communicate quite a bit of technical information in as light and engaging a way as possible, but I reckon that it still may be beyond the interest of most. Which brings me to an important point – who is this visualisation aimed at? In the first instance, I would reckon that all serious researchers using this form of data will immediately bypass the visualisation and head straight for the dataset it’s all built on [free download here]. Nonetheless, I would hope that the visualisation will be of some use to them and various researchers wanting to get a visual image of what the dataset holds and how it may be utilised. As a stand-alone resource, I hope it will find use with varying types of professional field archaeologist, looking for both landscape-level and temporal parallels to their own excavated findings. I hope that it will also act as some degree of inspiration for university researchers pondering where they could profitably add to archaeological knowledge by targeting blank spaces on the map that have not been systematically dated or are under represented. 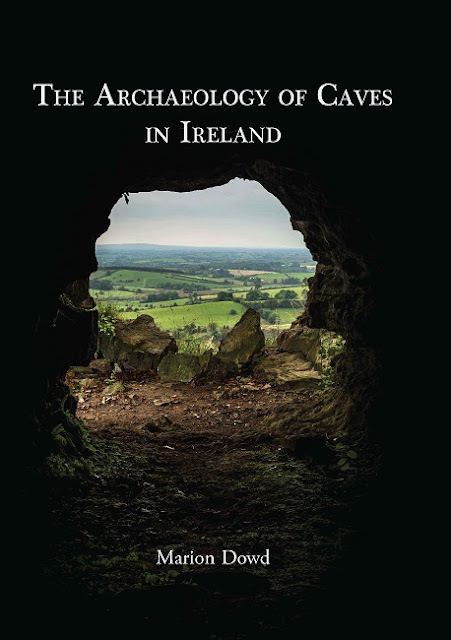 At the most general level, I hope that it can act as a means of engaging a large portion of the non-specialist audience who have an interest in Irish archaeology and heritage. Such an audience may find the intricacies of both the modern excavation process and radiocarbon dating to be somewhat complex and off-putting. I hope that this visualisation can be used to connect these groups to the scientific excavations and dating results that have been carried out within their own areas and act as further spurs for interest and engagement. Basically, whoever you are and however you choose to interact with this visualisation, I hope that it will be of use and of interest and I hope that you will find what you need. Beyond that, I hope that you'll make unexpected discoveries that enhance your research, help you think in a new way, or increase your appreciation of your local area - the vizualisation is mine, but the data is yours! Now go use it! I’m going to keep this short! The nominations for the Current Archaeology Awards [Facebook | Web] have just been announced and there are two entries from the island of Ireland there and I would be very grateful if you would consider voting for them. Please go to the voting page [here] and do your bit! That’s it! That’s all! Thank you for helping! Every one of the nominees deserves their place on the list, but I think these two are particularly special and deserve all-Ireland archaeological support. (University of Bradford) ... because he's just an incredible archaeologist! Seriously! What's not to like? Voting closes on 8 February 2016, and the winners will be announced at the special awards ceremony on 26 February at Current Archaeology Live! 2016. As we rapidly plunge towards the end of another year, many people’s minds turn to Yule festivities, gifting, feasting, quaffing and all the joys that the Winter Solstice has to offer. For myself, I find my mind turning to the financial health of the archaeological sector in Northern Ireland, because that’s just how I roll. 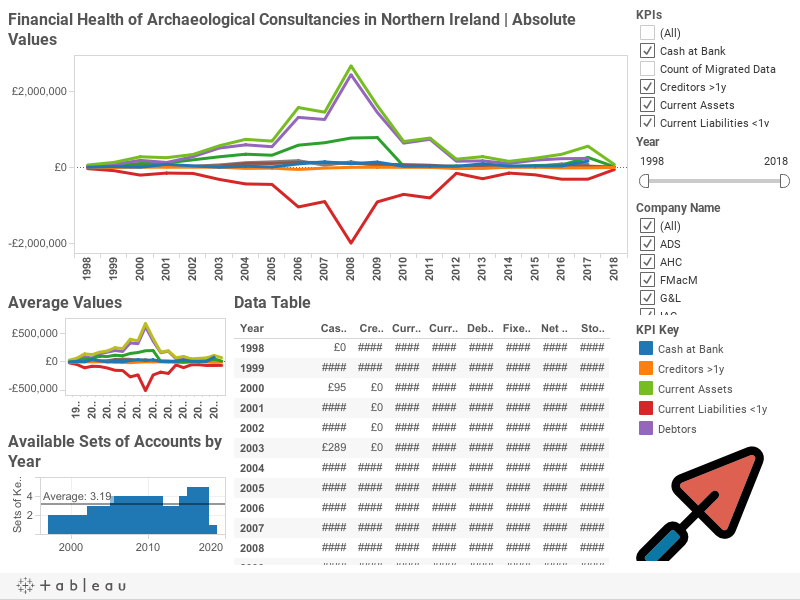 In what is becoming something of a year-end tradition, I’ve been looking at a number of Key Financials for the four main archaeological consultancies in Northern Ireland. Previous posts have analysed the period from 2011-2012 and 2013. 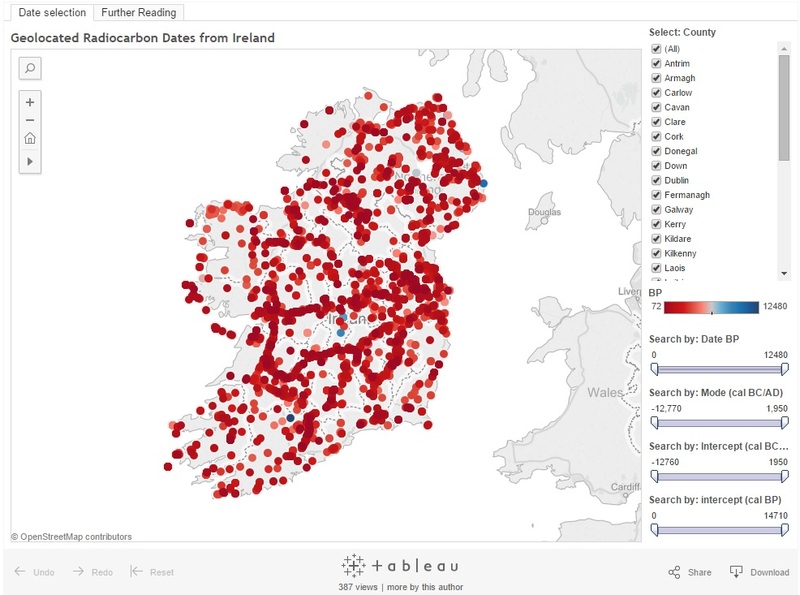 A recent post on the commercial archaeological sector in the Republic of Ireland made use of a Tableau dashboard to display the data and allow a degree of user interactivity beyond the traditional static images of graphs and tables [here]. I have attempted to do the same with the Northern Irish data and the dashboard is available at the end of this post, or directly on the Tableau Public server: here. For anyone not familiar with how this dashboard works, I would recommend taking a look at my notes on the Republic of Ireland one [here] as they are largely identical. As before, I have chosen to only refer to the individual companies by their year of incorporation, but (based on the legal advice given to me) I have provided an Appendix where the reader can link directly to the records I have based my calculations on and the real names of the companies involved [here]. Since my last post on this topic, 2014 data has become available and it’s time to take a look at how things have changed. In the first instance, I should say that the 1990 company appears to be defunct, or at least not complying with the requirement to submit accounts to Companies House, as the last available accounts are for the year 2011. As these have been discussed in depth previously, I won’t go over the same ground again. The 1997 company appear to have had a modestly successful year. Their Cash at Bank is up to £1,535 from a paltry £325 in 2013, though far below their record of £33k in 2008. Their Current Liabilities have decreased markedly to -£61K from an historic high of -£108K the previous year, though they have some way to go to meet their best recorded return of -£33.5K from 2012. Current Assets have fallen slightly from £99K in 2013 to £78.5K in 2014, but still far below the £260K recorded in 2008. As has been noted previously, a large portion of the Current Assets value can be made up of monies owed to the company. It is only speculation, but it may be the case that this outfit managed to make good on a number of outstanding debts and used that cash flow to offset their own liabilities. The overall Net Worth of the company has improved somewhat from the -£6K of 2013 to £22K in 2014. While there is a marked, if stuttering, improvement on 2011s all-time low of -£24K, the most recent figures are far below the 2008 high of £188K. The 2002 company have also had a moderately successful year. Their Cash at Bank has risen slightly to £3,663 from £2,382 in 2013, though this is significantly poorer than the 2009 return of £51K. Good progress has also been made on the amount of Current Liabilities carried by this firm as the figure has dropped to -£86K from -£105K the year before, and is substantially better than the 2008 maximum of -£144K. Like the Cash at Bank figures, the Current Assets have taken a marginal upturn in 2014 to £38K from £27K in 2013, but still lag far behind their 2008 high of £376K. The Net Worth metric shows the same general pattern of a rise to -£41K in 2014 from -£70K in 2013, their worst year on record. All this is far below their record years of 2008 and 2009 where the 2002 company returned Net Worths of £259K and £258K, respectively. The youngest company on the list, incorporated in 2005 had a rather mixed year. Their Cash at Bank plummeted from £86K in 2013 to £24K in 2014, though still well above their worst year on record (2012), when they recorded a mere £4,643. They have also made a spectacular recovery in terms of their Current Liabilities. These stood at -£90.5K in 2013, but have been reigned back to -£7,750, around the same levels as seen in the period around 2010 and 2011. Current Assets have also fallen from an all-time high of £152K in 2013 to £37K in 2014. No more than before, I would speculate that some of this movement may be interpreted as having received payment of a substantial portion of the monies owed incorporated in the Current Assets figure and using some of that, along with a portion of 2013s Cash at Bank to pay off a substantial portion of the company’s liabilities. Finally, the Net Worth shows a significant decline to £29.5K from £61.5K in 2013. While comfortably above 2011s historic low of £9,945, it is far short of the £90K returned for 2008 and 2009. The first thing I would say about the overall picture gained from combining all data from all companies (Absolute Values) is that it reminds me of a line drawing of a Colonial Viper spaceship from Battlestar Galactica banking to port … but that’s probably just me (this may also be an indicator as to why it was a good idea for me not to follow my father into a career in accountancy). In the first instance, the Cash at Bank figures have fallen markedly. The Absolute Values show a fall to £29K, from £88.5K in 2013, putting the 2014 results in line with some of the worst years on record: 2010 (£24K), 2011 (£26.5K), and 2012 (£23.5K), and significantly down on the peak of £135K recorded in 2009. In terms of Current Assets, 2014 has been the worst year on record, with a figure of only £154K recorded. This is down from £278K in 2013, and well below the massive £2.7M recorded in 2008. As stated previously, this may be the result of concerted efforts to recover debts and pay off creditors, but it is impossible to state with any certainty. Again, it is only speculation, but this may be a result of bad debts being written off as uncollectable, or it may be a combination of a number of complex factors. It would appear that the one piece of clear good news in the sector is the continued reduction in Current Liabilities. In 2014 this is down to an historic low of -£155K from a maximum of -£2M in 2008 and -£304K in 2013. Taken as whole, the Net Worth of the sector rose to £10K in 2014 from -£15K the previous year. While there is some grounds for celebration at a return to overall profitability, this is far, far below the sector Net Worth of £781K recorded in 2009, or the £768.5K from 2008. With the exception of the Current Liabilities data, the trend lines here are all on the way down. Viewing it in the most optimistic light would only allow me to say that the Cash at Bank trend is flat. This is nothing to celebrate for these companies. The results for 2014 may be marginally better than those for the previous year, but the sector has collapsed and shows no real signs of regeneration. There is no evidence of any green shoots of recovery. The best picture that can be drawn here is one of continued stagnation, if not slow degeneration and destruction. As I’ve always tried to make clear, my posts regarding the financial health of these enterprises are not ends in themselves, but a means of examining the fragility of the commercial archaeological sector. Most importantly, this data illustrates the vulnerability of the site archives that these companies hold. Should one of these groups finally slip over the edge and be forced to wind up their operations, there is a huge potential for a large number of important but unpublished archives to be permanently lost to scholarship. The last time I wrote on this subject, I noted that there was no movement from the NIEA to address this continuing crisis. As far as I can ascertain, nothing has changed on this front. However, in October 2014, I thought that a potential answer may lie in the high quality work of the Centre for Archaeological Fieldwork at QUB. However, in 2015 it lost its funding and at the time of writing operates in a much reduced capacity. Well, no recovery materialised and the slow circling continues … I wonder what developments 2015 will bring? For the best viewing experience of the Tableau dashboard, I would recommend going to Full Screen mode (F11) … there will be less scrolling needed!